Have you ever thought about advertising your business, shop, blog, Etsy shop with Email Marketing? I know it sounds like a lot of work, but with Linky Tools, it is a breeze!!! All you have to do is host a linky party on your blog and add in the easy "Email Marketing" tool. If you have linked up to my current Create and Share Linky Party, you will have gotten my Marketing Email! It was my first time using it and I LOVE it! By using this tool you are guaranteeing that everyone, yes everyone that links up to your party will get your marketing email. What to Market... you can make up multiple Marketing Emails for your linky parties. You can choose to promote 1 item from your shop, announce a sale, share sponsors or just a general message. The other thing I love is that I can share all the links to where you can find me like Facebook, Twitter, Pinterest, Instagram, ect. SPONSORS... Sharing new sponsors in an email is great but you can also sell ad space in them too. Get new sponsors and ads with each weeks Marketing Email you send out. This also helps your sponsors!!! How it works... go into your Linky Tools account. In the sidebar there is a Marketing Template, click on that and go create your email. Don't forget you can make more than one for different promotions. Next, create your linky party. While creating make sure you click on "require email" (so you know they will definitely get the email) and down at the bottom there is a EMAIL MARKETING area. Click on yes and then select the message you want sent out. Save and add to your blog as usual. Everyone who links up will now get your EMAIL! Easy Peasy! There is a fee to use this tool! And it is the cheapest way to advertise your business out there. Only $1 per month. I'd say that is well worth it since you can potentially bring hundreds if not more visitors to your shop or promotion each week. Or day if you decide to host more than one link party. Really you could host a party everyday and get thousands of visitors each week, its up to you. There is also a small fee to use the Linky Party Tools. Go HERE to read more on their subscriptions. Again still worth it! So PLEASE visit Linky Tools today to get your account set up if you don't already have one. You will be glad you did once you start getting more visitors from those marketing emails!!! 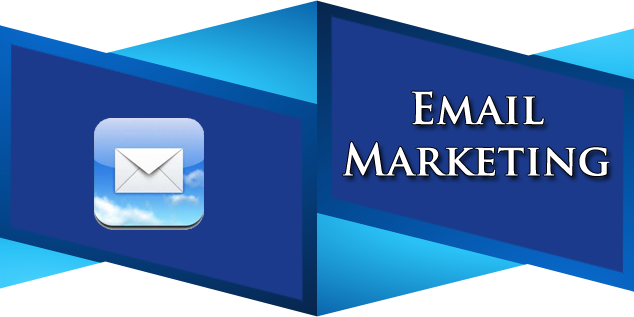 One use of a mailing list is to maintain communication with your subscribers. The readers need to get acquainted with you by receiving and reading your messages. This is more important immediately they join a list.